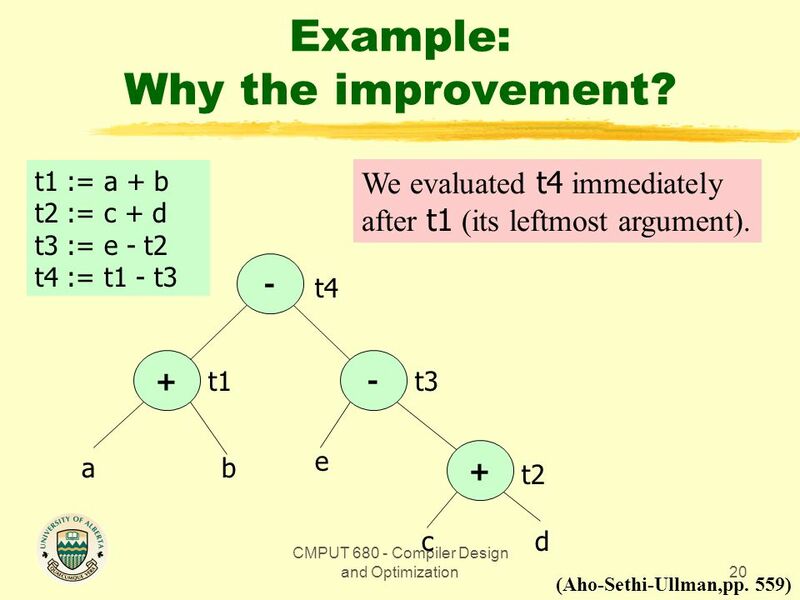 20 Example: Why the improvement? 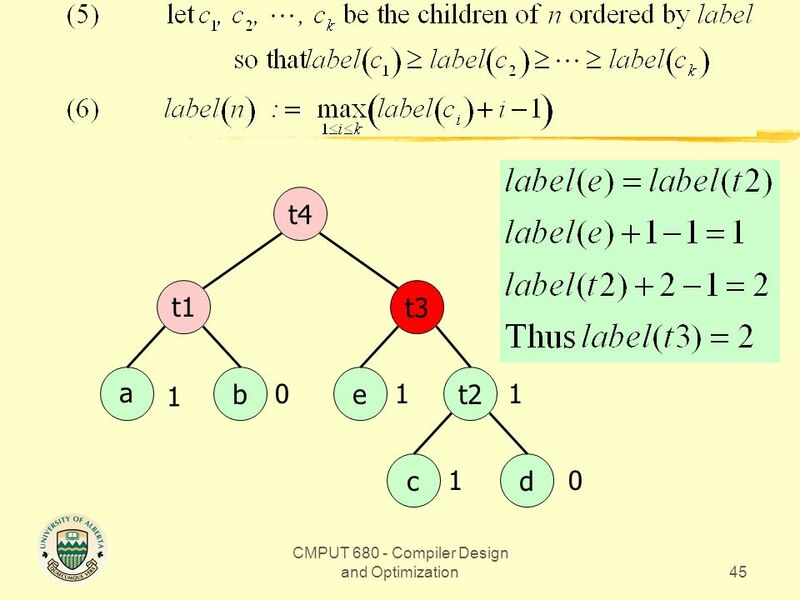 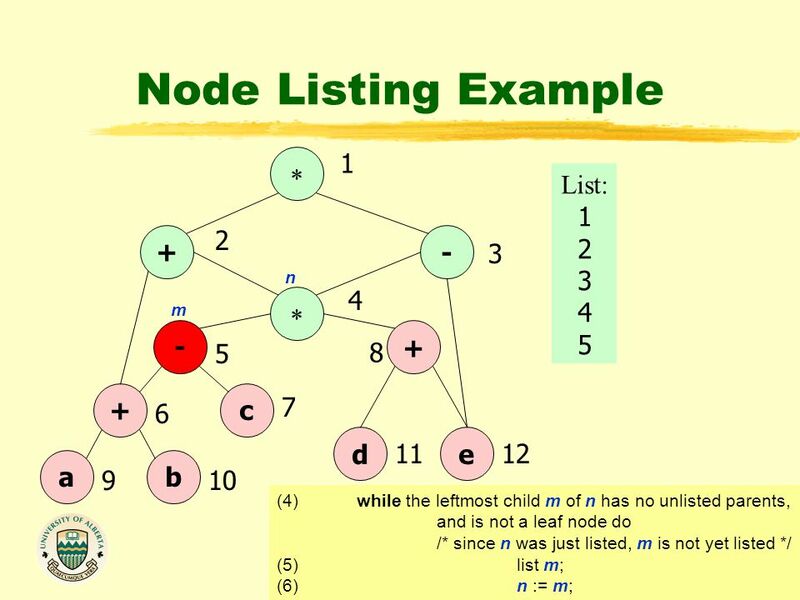 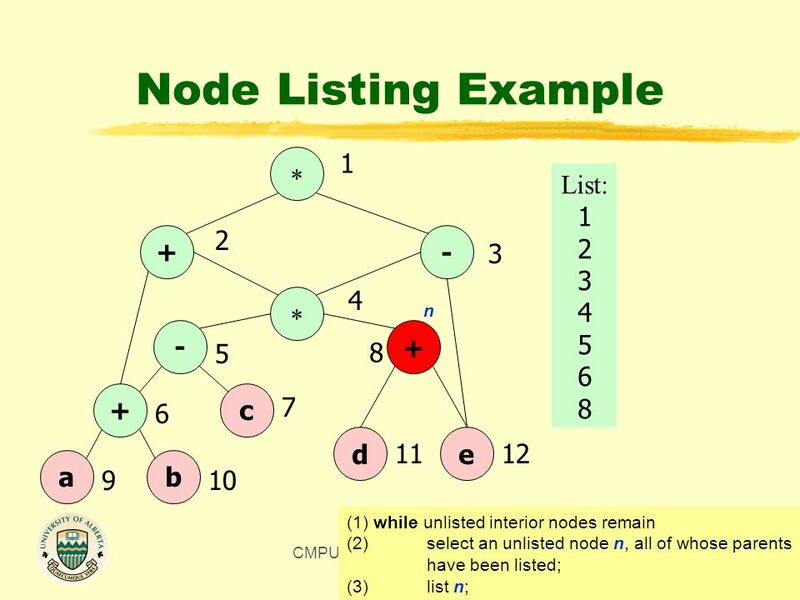 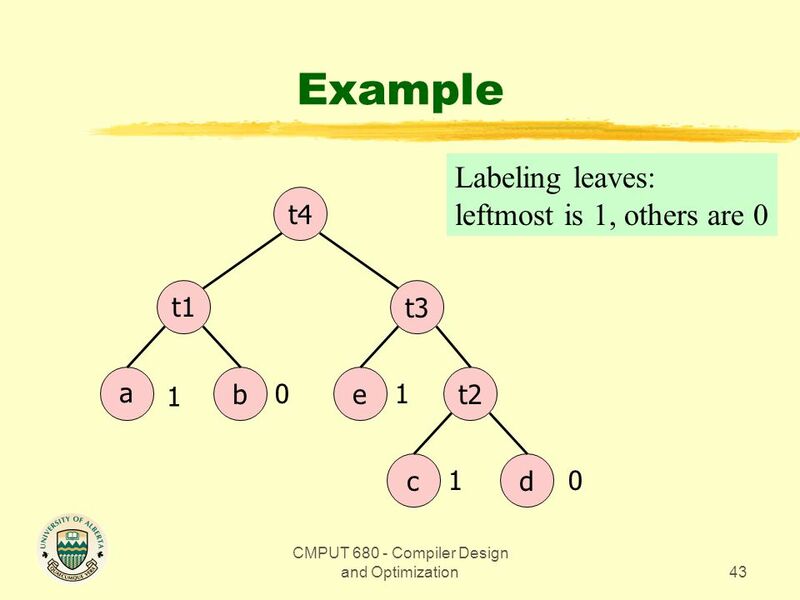 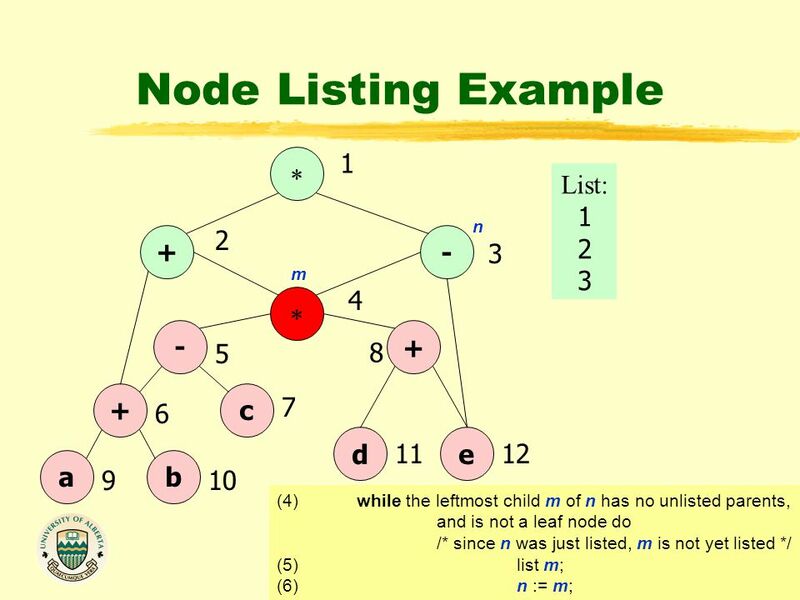 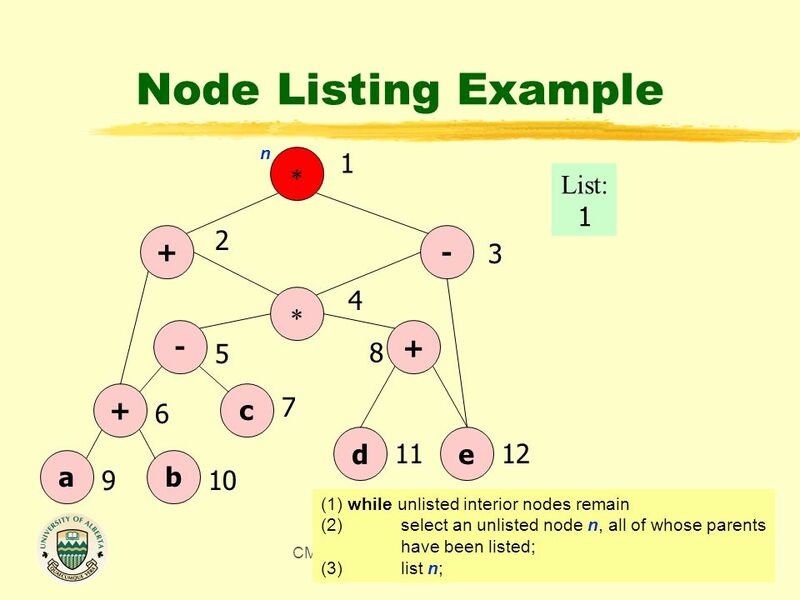 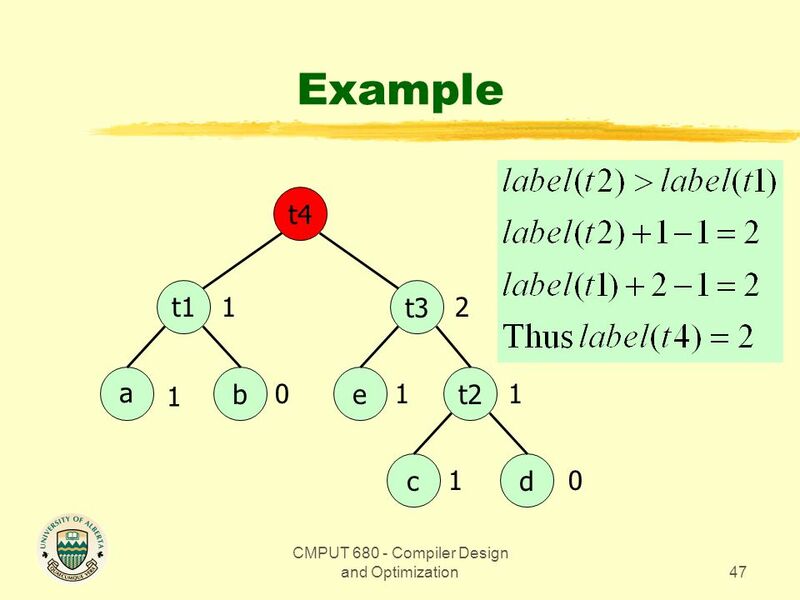 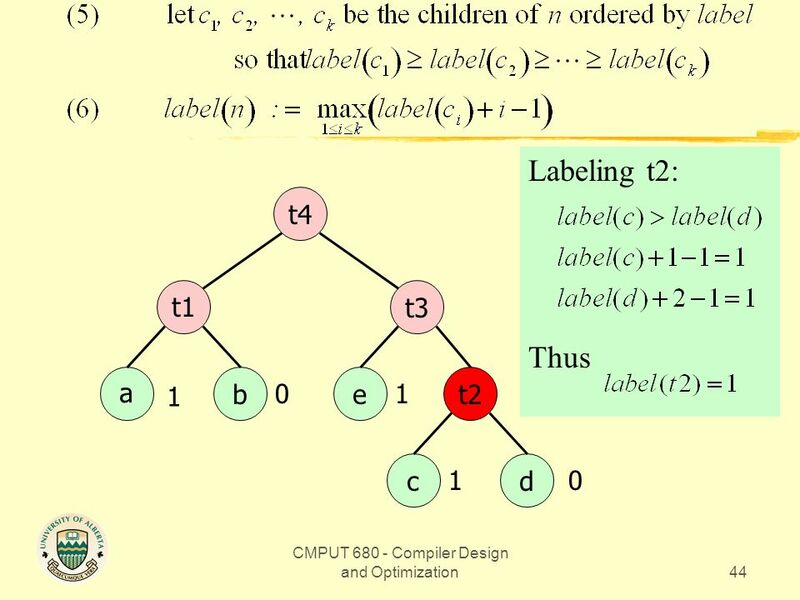 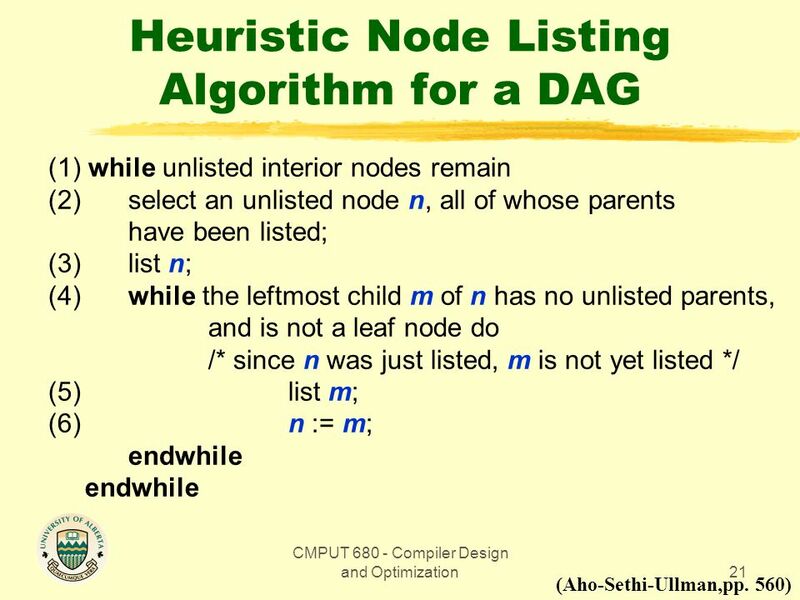 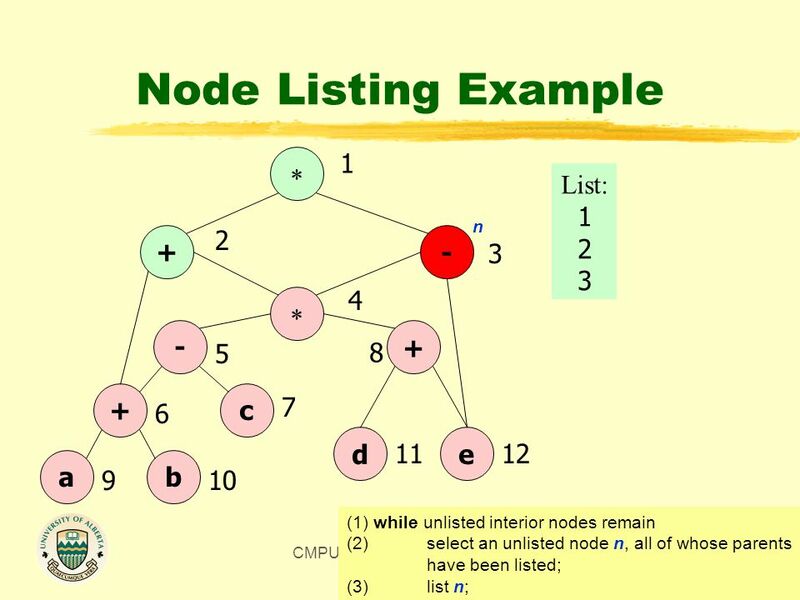 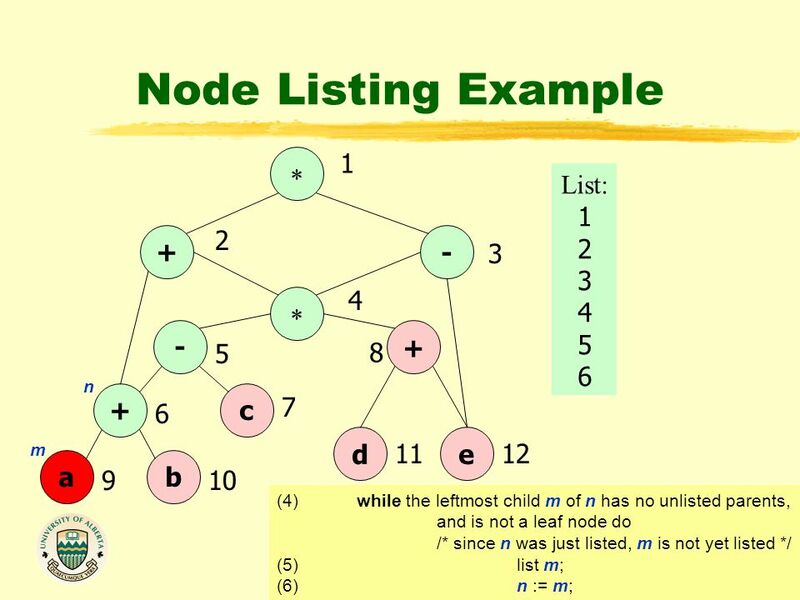 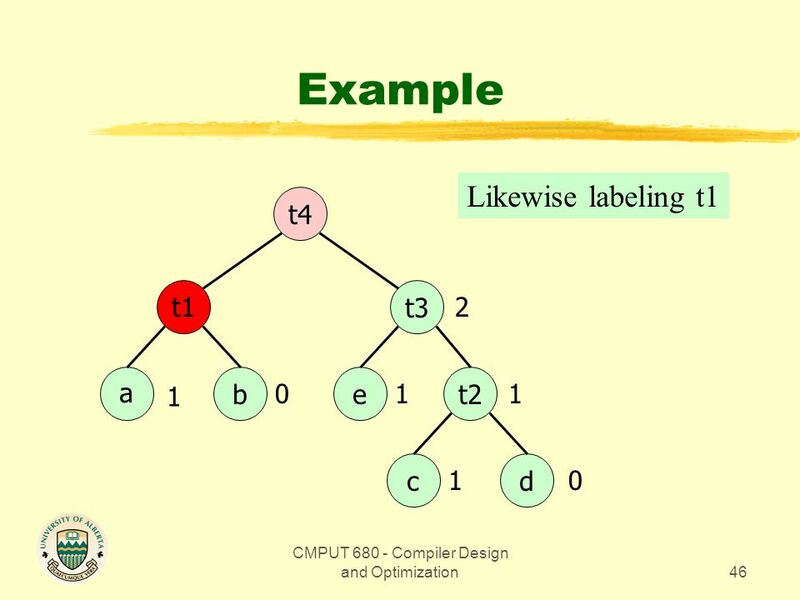 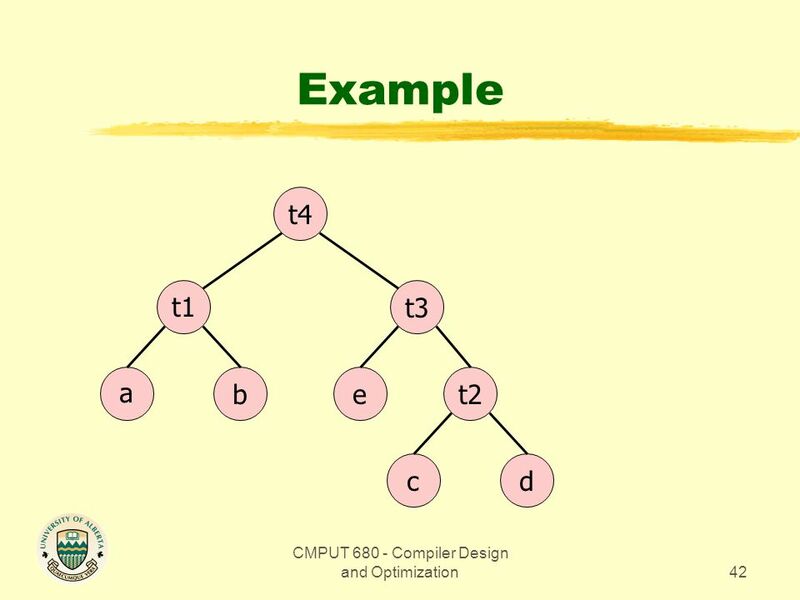 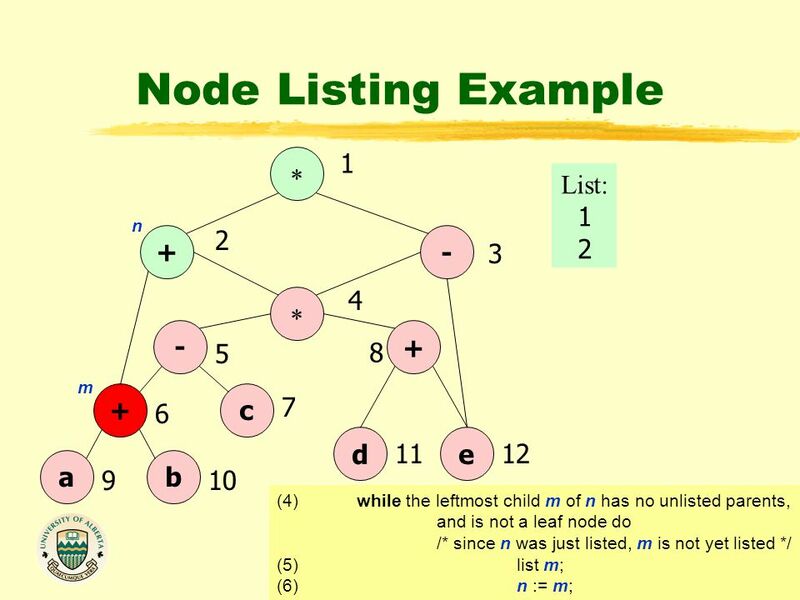 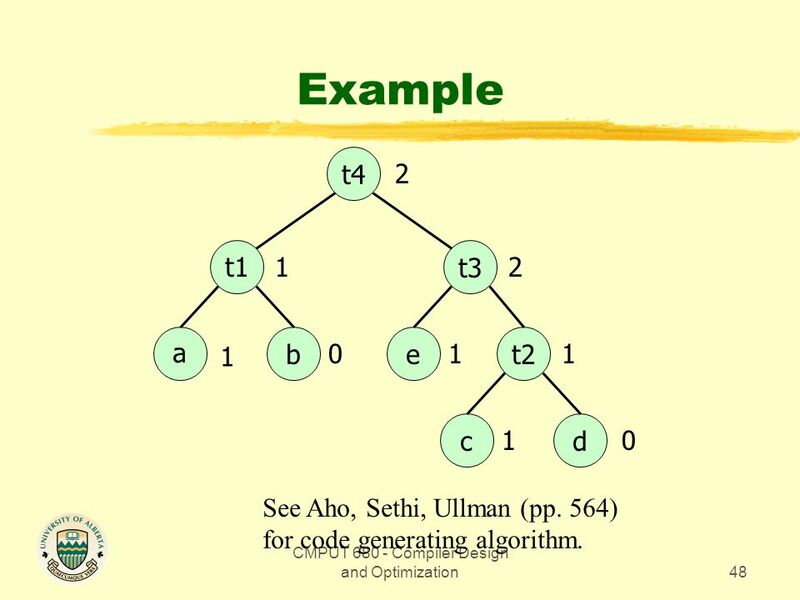 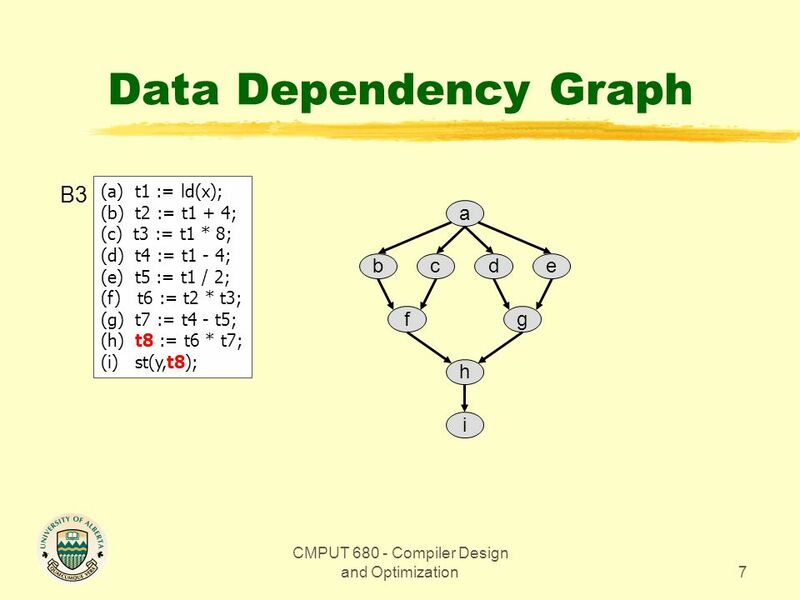 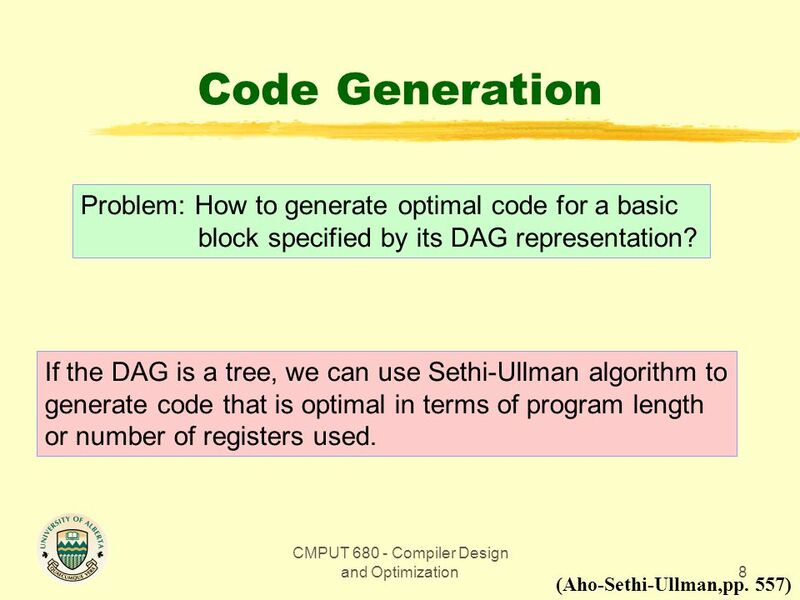 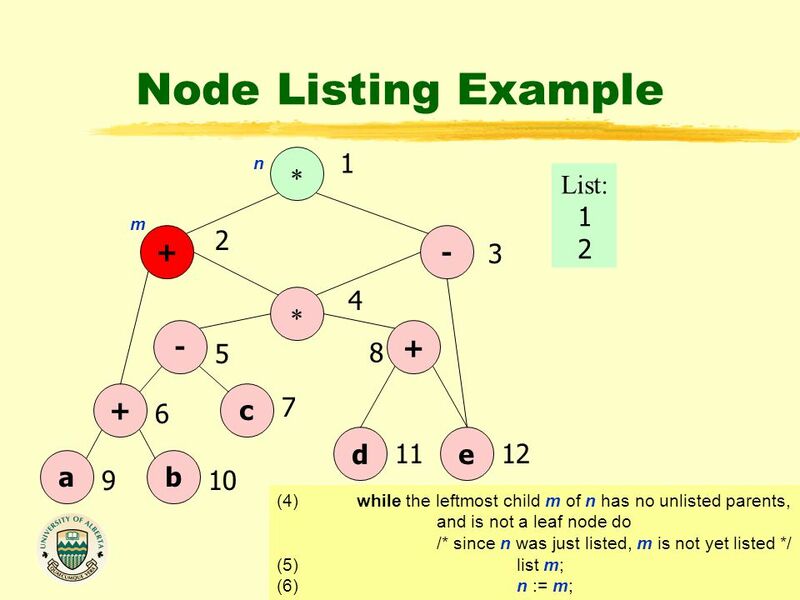 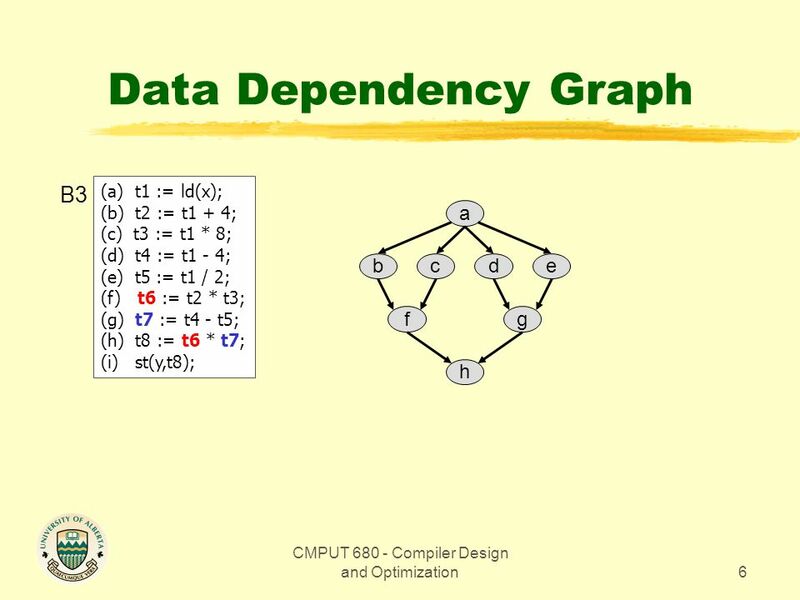 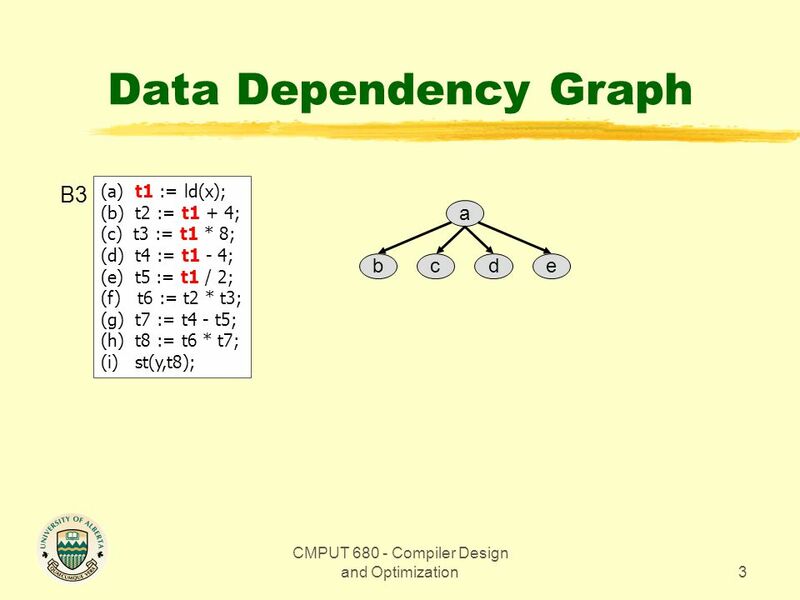 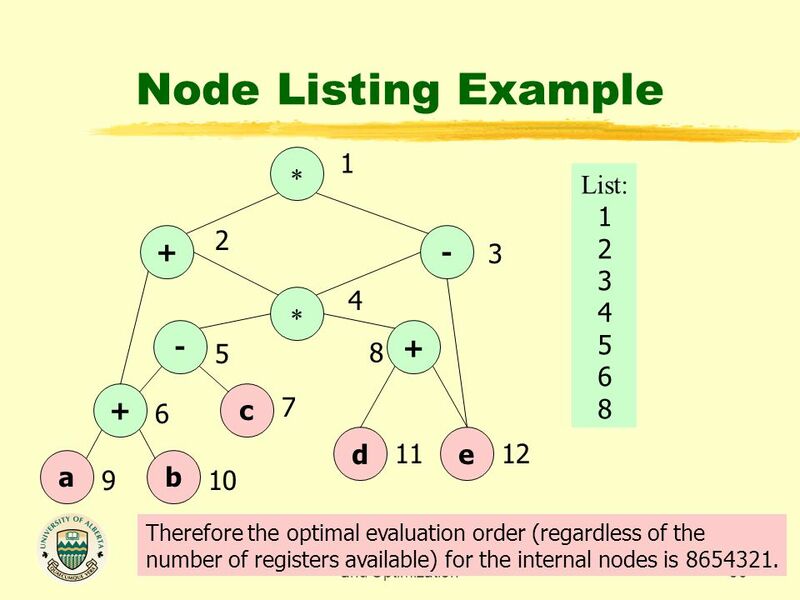 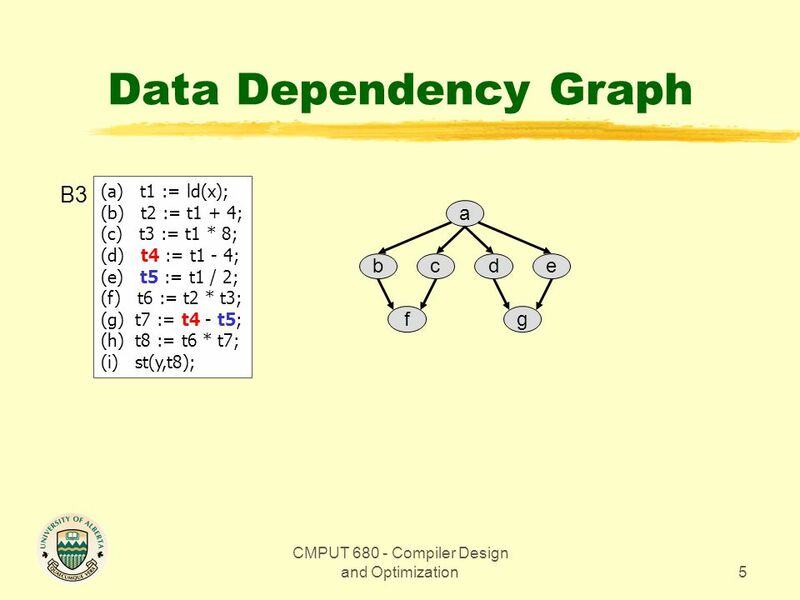 Download ppt "CMPUT Compiler Design and Optimization"
Example of Constructing the DAG (1)t 1 := 4 * iStep (1):create node 4 and i 0 Step (2):create node Step (3):attach identifier t 1 (2)t 2 := a[t 1 ]Step. 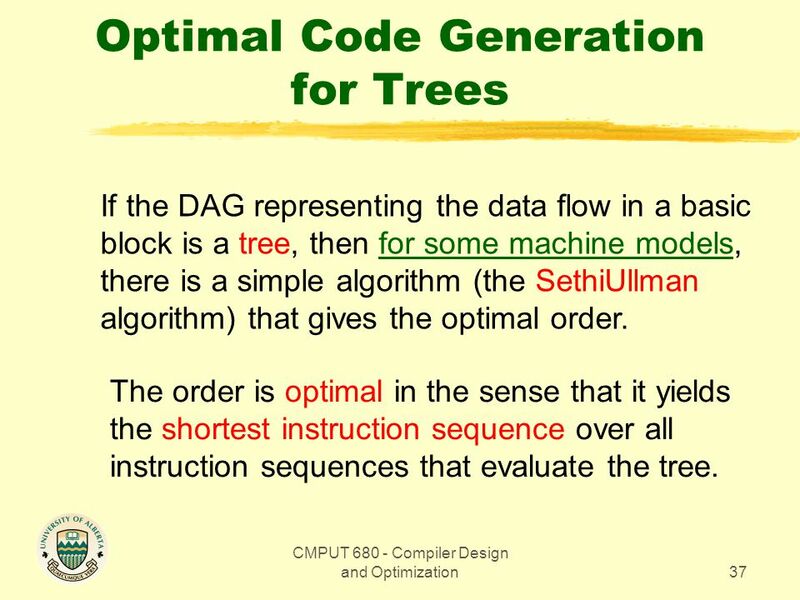 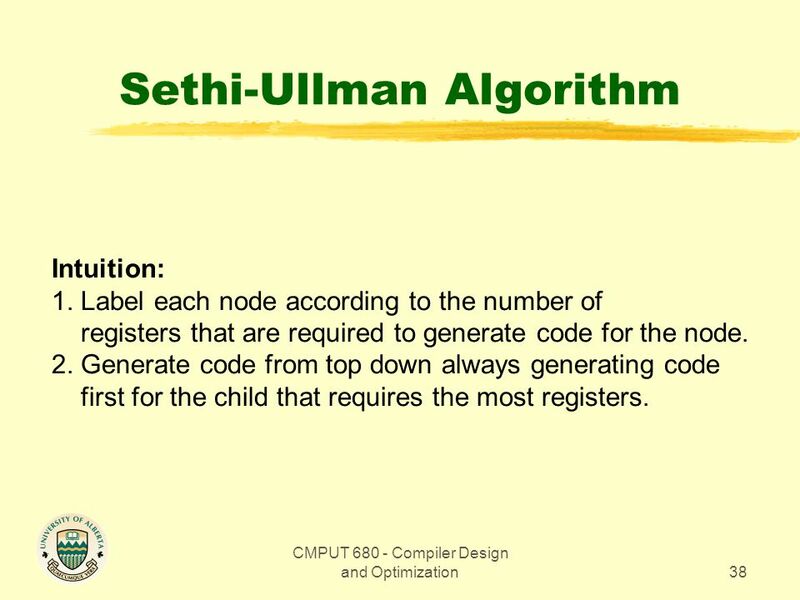 CSC 4181 Compiler Construction Code Generation & Optimization. 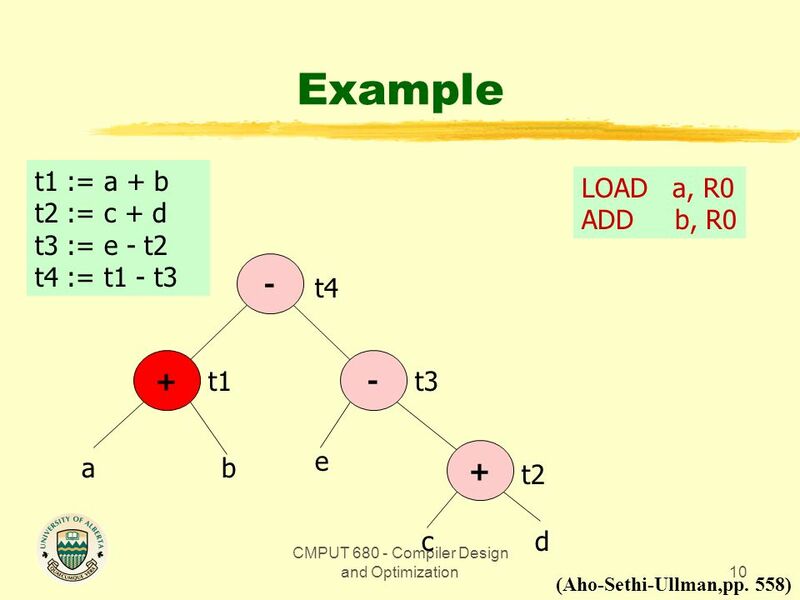 Group 4 : Christopher Thorpe Jonghyun Kim ELEG-652 Principles of Parallel Computer Architectures Instructor : Dr. Gao Mentor : Joseph Data : 12/9/05. CSE 5317/4305 L9: Instruction Selection1 Instruction Selection Leonidas Fegaras. 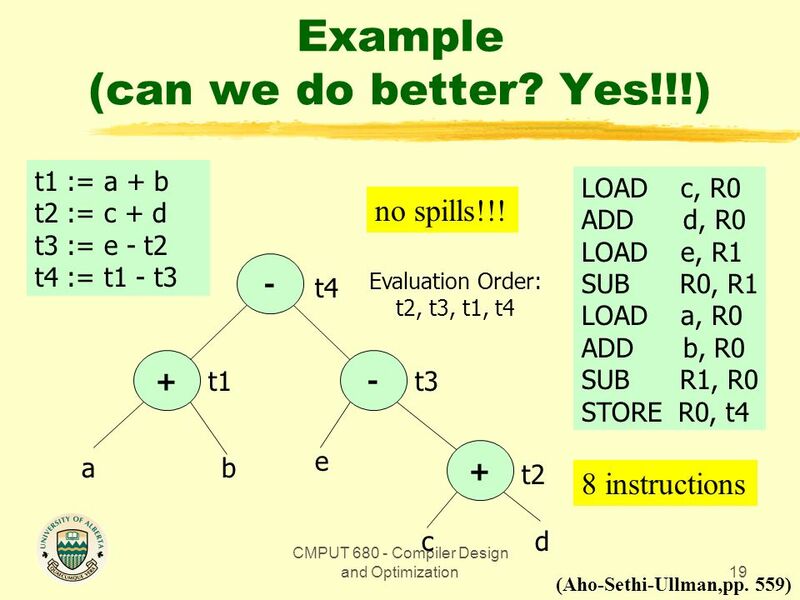 Tiling Examples for X86 ISA Slides Selected from Radu Ruginas CS412/413 Lecture on Instruction Selection at Cornell. 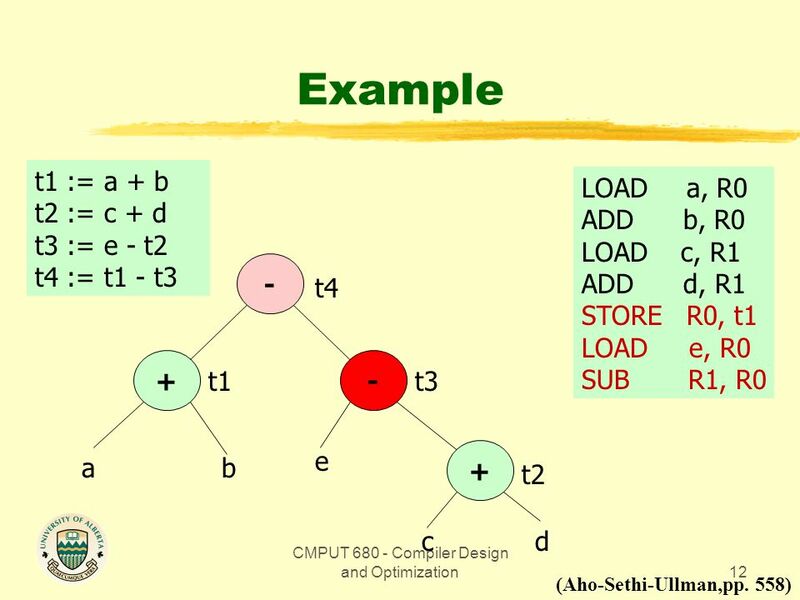 Scheduling Work I love deadlines. 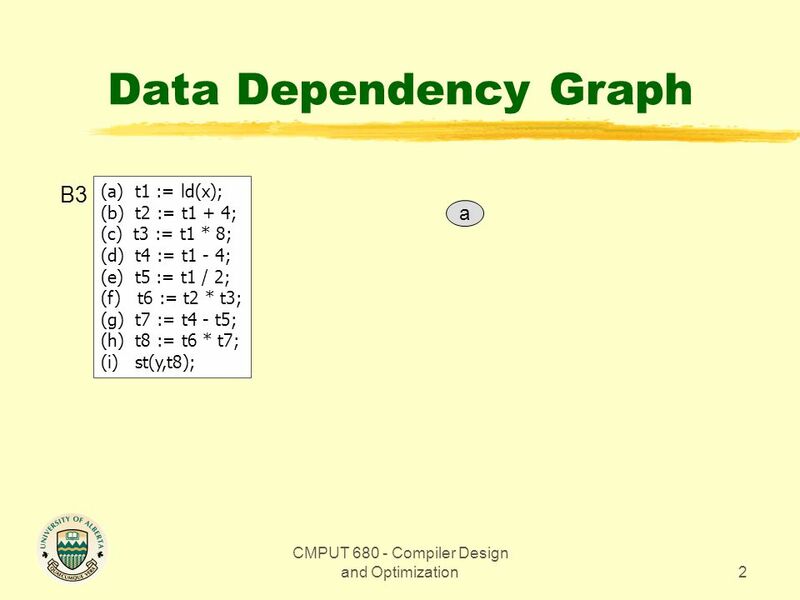 I love the sound they make as they fly by. 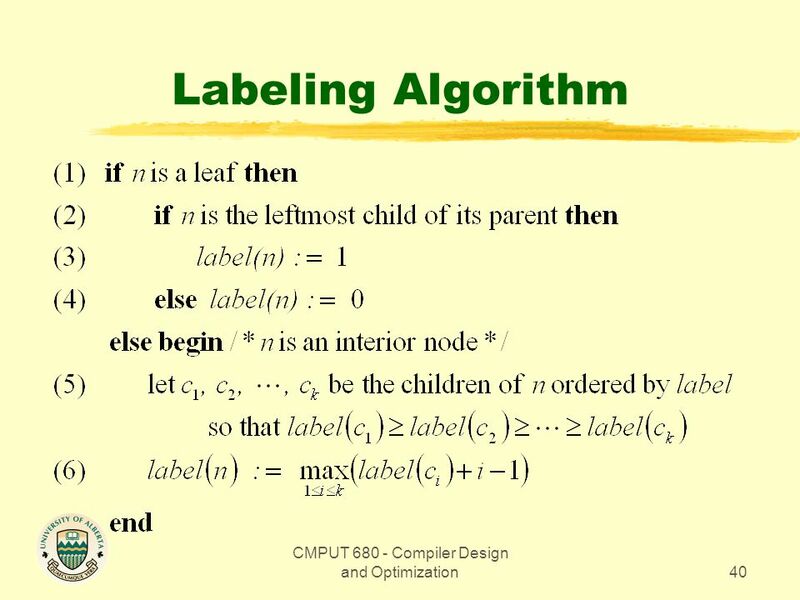 -- Douglas Adams. 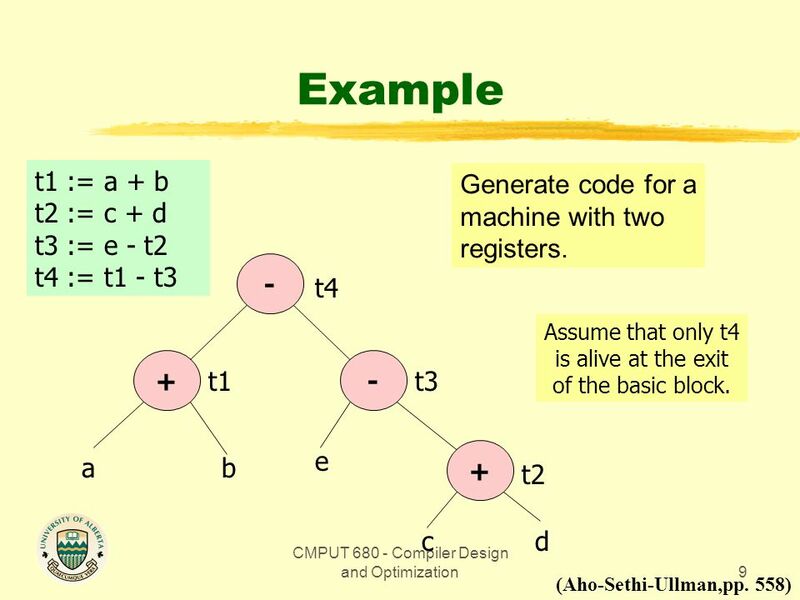 1 Code Generation The target machine Instruction selection and register allocation Basic blocks and flow graphs A simple code generator Peephole optimization. 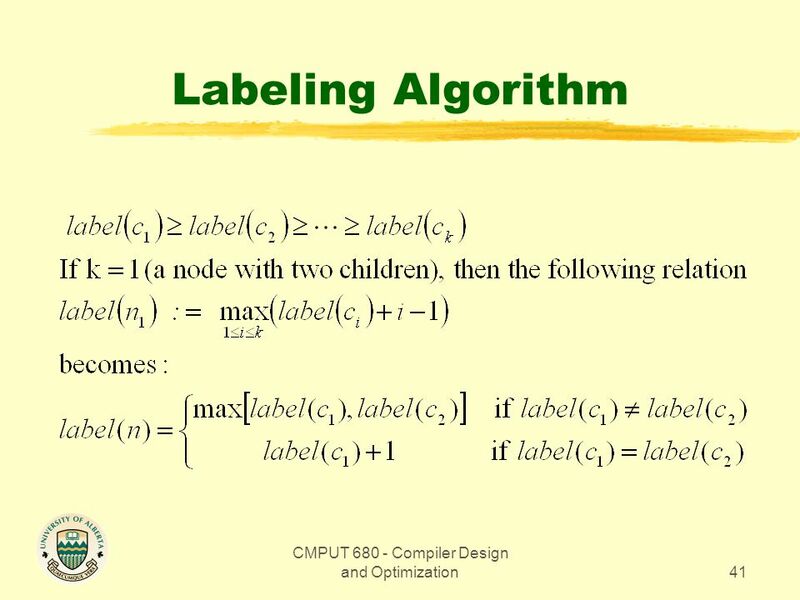 Is there anything more to RS than just recommending movies and songs? 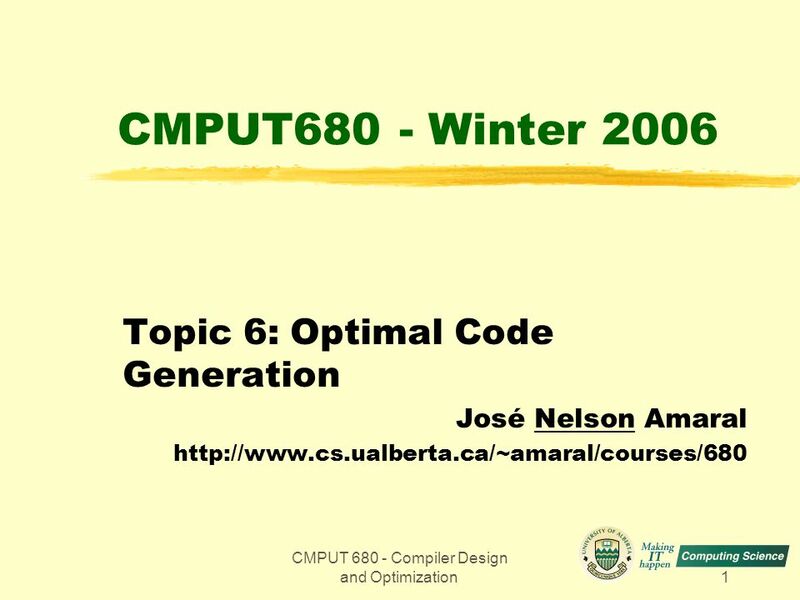 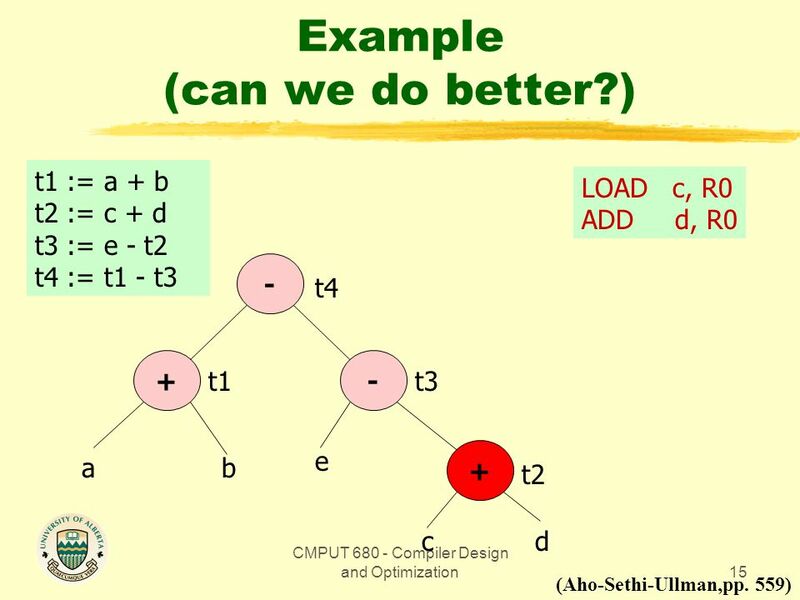 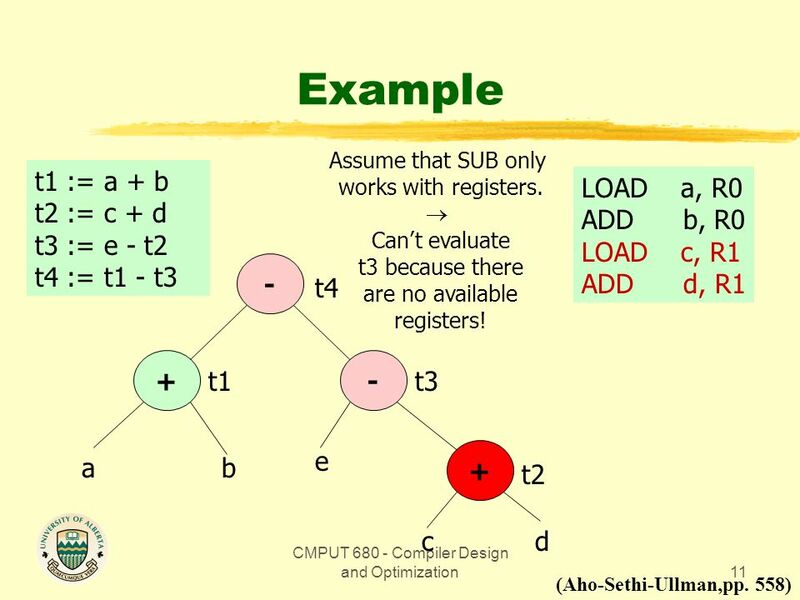 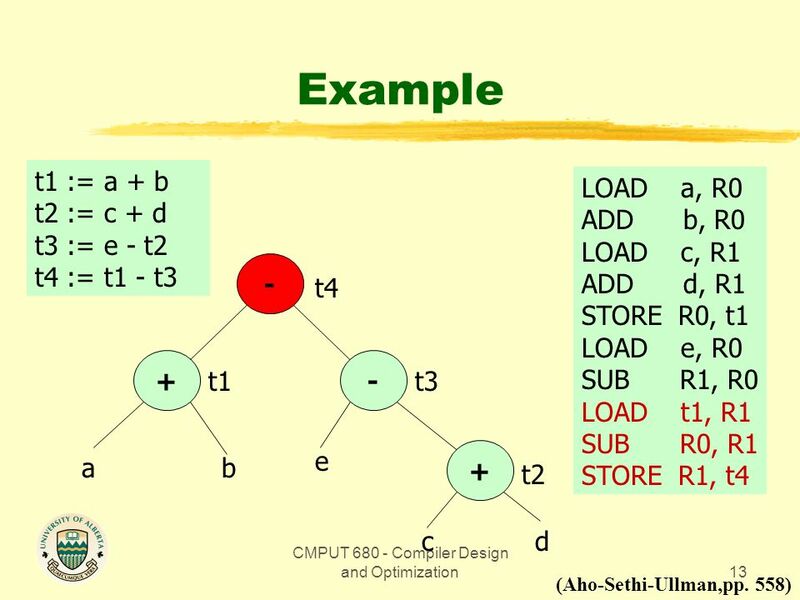 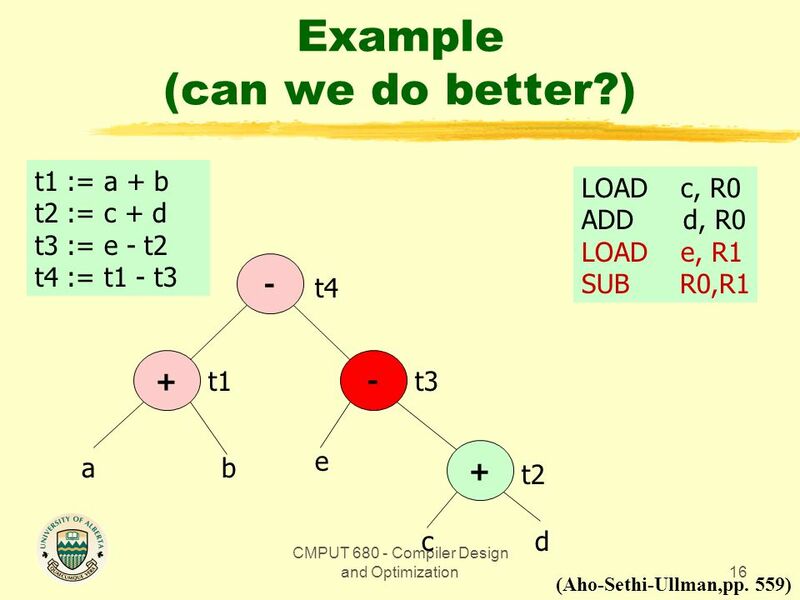 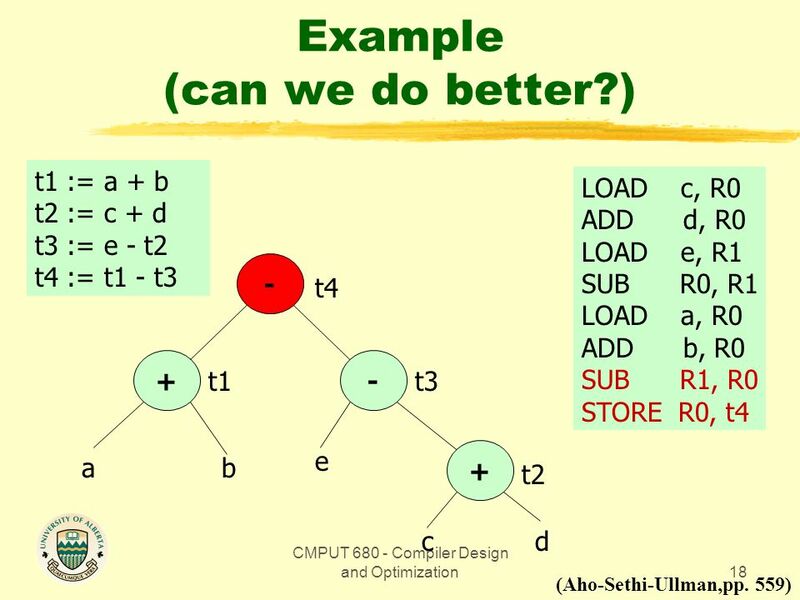 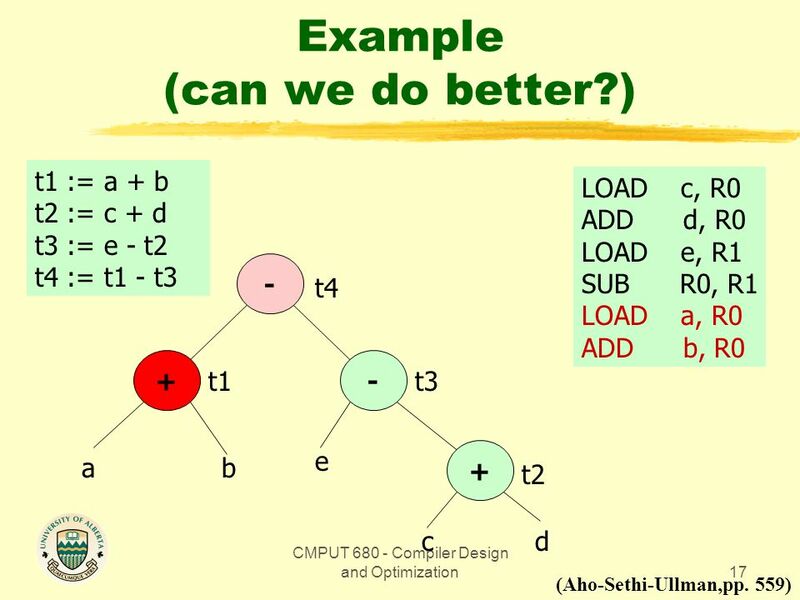 CMPUT Compiler Design and Optimization1 Borrowed from J. N. Amaral, slightly modified LIVE-IN: k j. 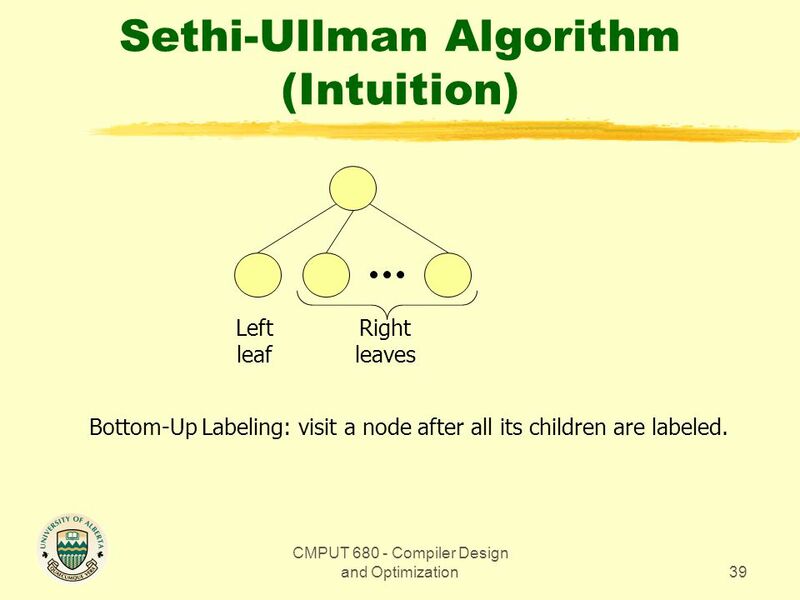 1 February 23, 2016 1 February 23, 2016February 23, 2016February 23, 2016 Azusa, CA Sheldon X. Liang Ph. D. Computer Science at Azusa Pacific University.